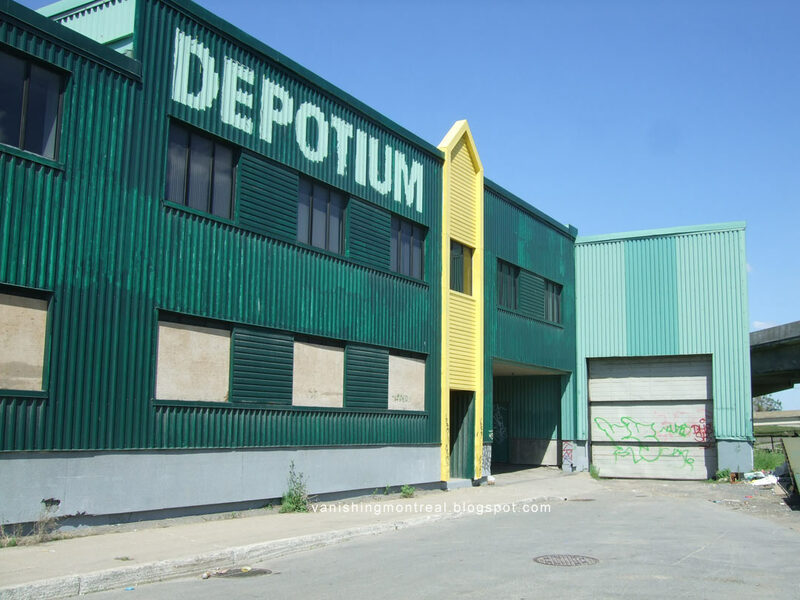 The Depotium in Cote Saint Paul north of highway 15 & 20 of the Turcot Interchange will be destroyed when they do the reconstruction the Turcot interchange. 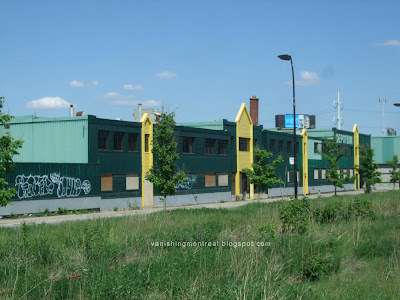 The building is an eyesore and won't be missed by many but it's another business that's gone. 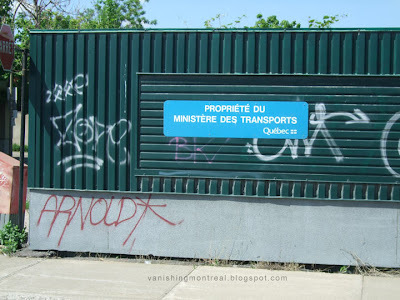 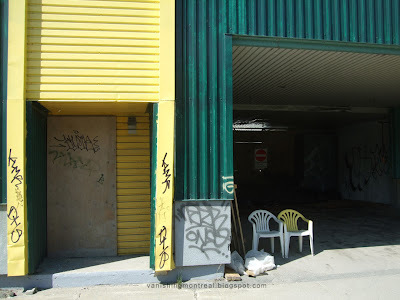 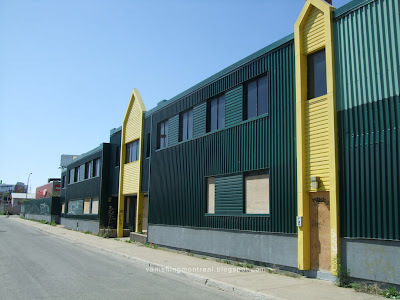 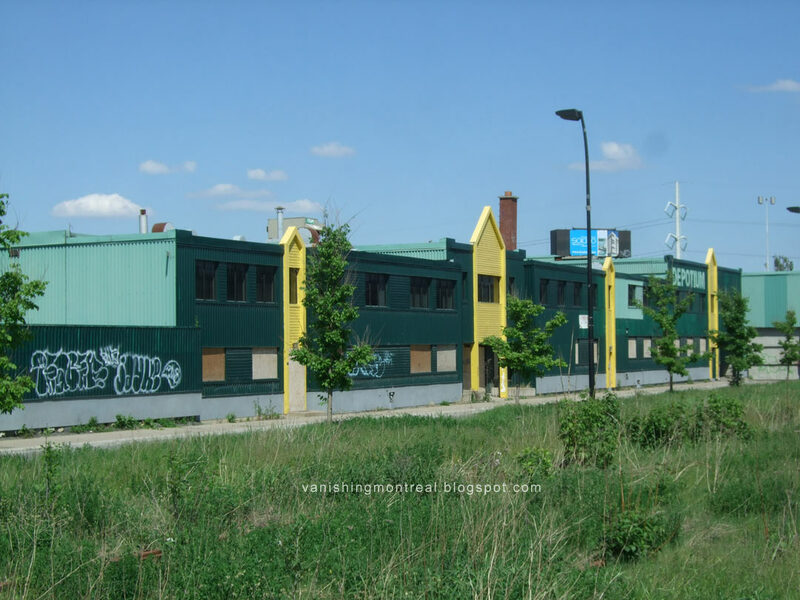 As the 4th photo shows, the Ministere des Transports du Quebec owns the property. The front part is abandoned but the back of the huge structure still shows activity (I passed by there yesterday). The RED ARROW on the google maps image below shows where the Depotium is situated next to the Turcot overpass. 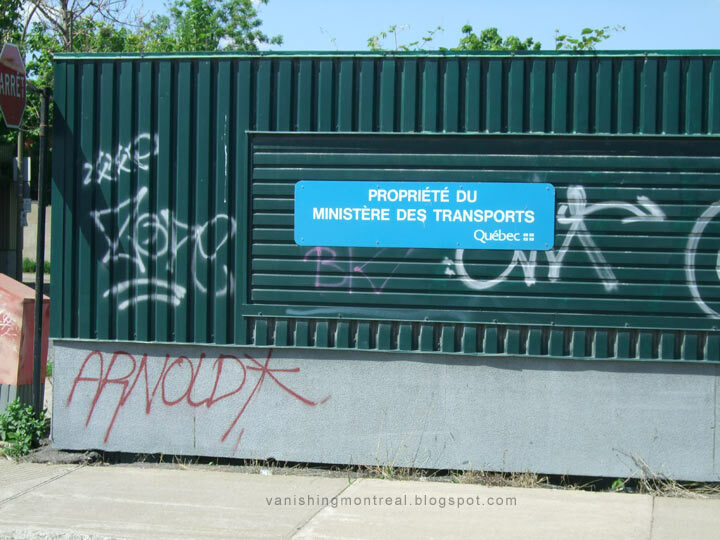 It's on Cabot street. 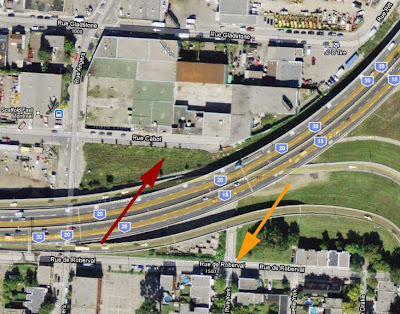 The ORANGE ARROW shows where my grandparents' house is situated (see article below).